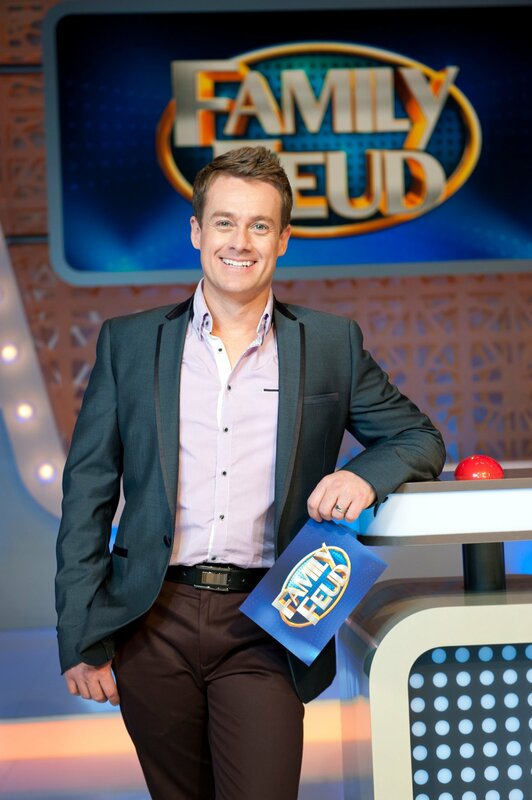 Network Ten is set to air its revived gameshow Family Feud across all of its channels for the first week of broadcast in a bid to gain as much exposure as possible for the Grant Denyer fronted show. Ten hopes the return of the quiz show, which last aired on Nine in 2007, will help it to attract a bigger audience at 6pm to build into its prime time offering, although analysts are not confident it is the right format to do that. In a statement released this morning the network announced the unprecedented move of airing the show across Ten and digital channels One and Eleven at 6pm this week with programming chief Beverley McGarvey adding it will give “as many Australians as possible have the opportunity to see it”. Today the network also announced Rove McManus will join The Project as a guest host from August 14 until December. Family Feud is part of Ten’s plans to revive flagging ratings, although its audience share has improved in recent weeks with Masterchef performing strongly in the absence of Seven and Nine’s big reality franchises on weeknights. In a statement host Grant Denyer said: “Family Feud is a fantastic show that the entire family can truly sit down all together and enjoy. I think viewers will love how fun, fast and funny this new series is. “Hilarious and unexpected answers are the brilliance of this show; you can never anticipate what falls out of someone’s mouth under pressure and neither can they. There’s no multiplier effect in putting it across multiple channels at the same time – if people don’t want to watch it, they will watch something else. Three channels I won’t be watching tonight. Is TEN on drugs? There will be no incremental reach delivered…..just more people turning off……….a barker is just that a BARKER. This has dog written all over it. A VERY dumb move………. Screening it across three channels at the same time will only reduce the Family Feud audience numbers on the main channel. Whoever has been running Ten programming for the last few years do not appear to have a clue on what audiences want to watch and when.
. Good God I thought we’d got rid of that moose to the US.